Craving ice cream? If you don’t have an ice cream maker, try mixing up your own frozen treat in a bag. All you need is a little cream, sugar, vanilla, and ice. Shake away! 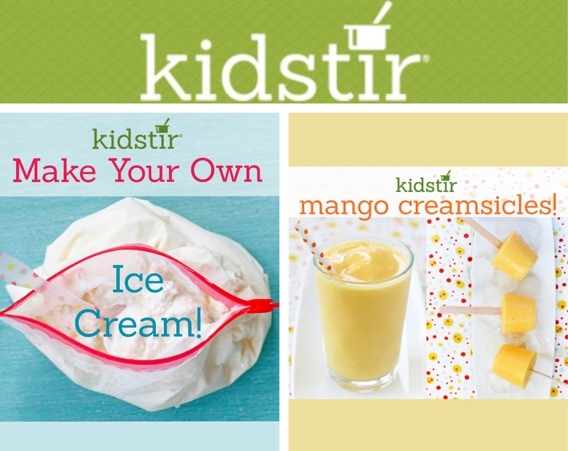 Just ten minutes from start to finish for a cool summer treat kids will love making themselves. All you need to mix up homemade ice cream is one quart-sized and one gallon-sized resealable plastic bag and teach kids to use measuring cups and spoons. They’ll learn how to make ice cream in just a few minutes to share with friends. Cool off on a hot day with our smoothie pops. These healthy pops are made with just three ingredients—frozen mango, pineapple juice, and coconut milk. Before you freeze them, pour yourself a smoothie and say cheers! Ingredients are mango chunks, coconut milk, pineapple juice and optional honey. 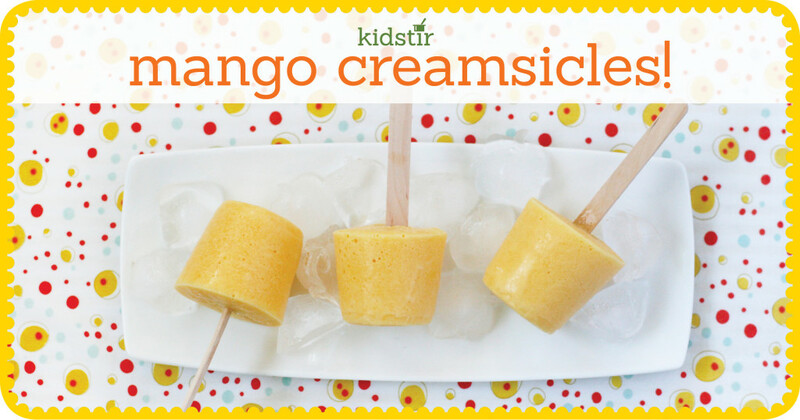 Kids will learn basic measuring and how to operate a blender, A grown-up can help younger kids blend the creamsicle together until it’s creamy and smooth. 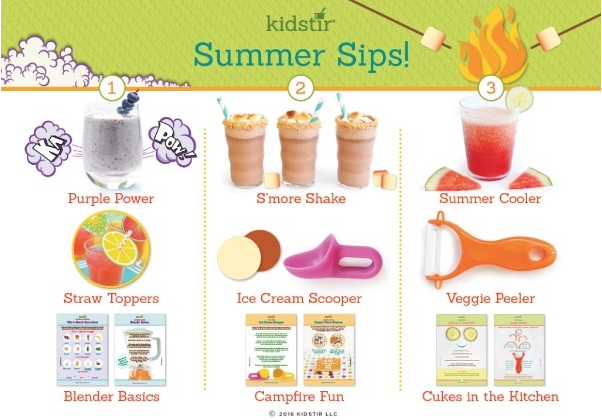 Beat the Heat this summer with the Kidstir Summer Sips! kit. Impress your friends at the pool with a glass of something yummy and refreshing! Don’t miss this kit! Use the coupon code COOL30 and get 30% off your first kit of a new subscription. Offer ends July 17th, 2016. Watch our video on Facebook and imagine the happy kids making their own summer drinks to cool off on a hot summer day.